Taught by Dr. Barret Michalec, an active qualitative researcher and Associate Dean of Interprofessional Education. 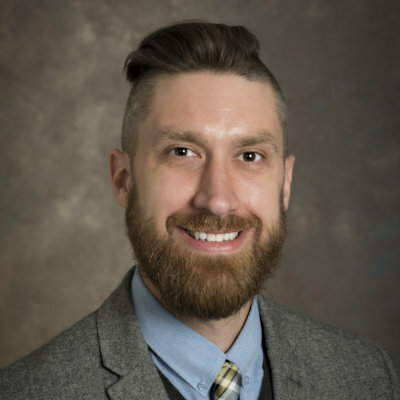 Dr. Michalec has taught various courses in qualitative methods, and led numerous seminar-style, intensive programs on qualitative methods for IPE/IPC evaluation and assessment specifically tailored for clinician-researchers. He has also lead numerous clinician-based scholarly teams in developing and administering qualitative-based evaluation and assessment protocols, as well as the “writing up” of the analysis and interpretation of the data gleaned from those protocols. Part 1.) An instructional presentation on the value of qualitative methods in interprofessional health care practice and research (with a centering focus on qualitative methods for evaluation and assessment within interprofessional education and collaborative practice), and showcase specific types of methods including, Interviews, Focus Groups, Observations, and Content Analysis. We will dive-deep into each of these particular methods, and engage with other “special topics” methods (e.g., photo-voice, narrative (inquiry), and vignettes). During this discussion, we will cover notable “in the field” examples – dissecting the appropriate-ness of the methods to evaluate and assess the programs’ outcomes and impact. Michalec, Barret, Natalie Reinhold, Robert Dressler, Linda Laskowski-Jones, Laura Adarve, and Daniel Elliott. 2014. “Barriers and Facilitators to Interprofessional-Interdepartmental Interventions: Unearthing Departmental Culture.” American Journal of Medical Quality. 30(2): 126-134. Michalec, Barret, Carolyn Giordano, Brandie Pugh*, Christine Arenson, and Elizabeth Speakman. 2017. “Health Professions Students' Perceptions of their IPE Program: Potential Barriers to Students' Engagement with IPE Goals.” Journal of Allied Health. 46(1): 10-20. Part 2.) Participants will brainstorm on how they will utilize specific qualitative methods within their own projects in the education and practice realms, map-out “who”/“what” will be included in their sample, and explore how they intend to engage with that sample and gather the data. During this specific part of the short course it is expected that participants will work on their own evaluation and assessment protocols either on their own or within their team. From this part of the shortcourse, participants will be able to outline their own evaluation and assessment protocols, identify potential samples of participants and appropriate and effective qualitative methods. Part 3.) Discuss the fundamentals (the very basics) regarding concepts, vocabulary, and commonly utilized phrasing associated with qualitative data analysis (e.g., deductive and inductive, grounded theory, frequency analysis, etc.) as well as outline tips and tricks to the effective and efficient writing of methods, analysis, and “results” sections for publishable pieces and proposals. Again, here we will engage with specific examples, and code as a group (with guided leadership). Challenges of first and second cycle coding will be addressed. It is expected that participants will embrace the fundamentals of analysis and coding, and be able to serve as a point-person within their institution regarding qualitative data analysis and interpretation. Identify appropriate qualitative methods for their own evaluation and assessment protocol, and how to most effectively attain and engage the desired sample. Utilize particular qualitative methods to gather data to address key evaluation and assessment-based questions. Comprehend fundamental qualitative data analysis techniques and practices. Design their own qualitative data analysis strategy for their own evaluation and assessment protocol. Get a preview of Dr. Michalec's qualitative methods research on our Assessment and Evaluation webinar series page!